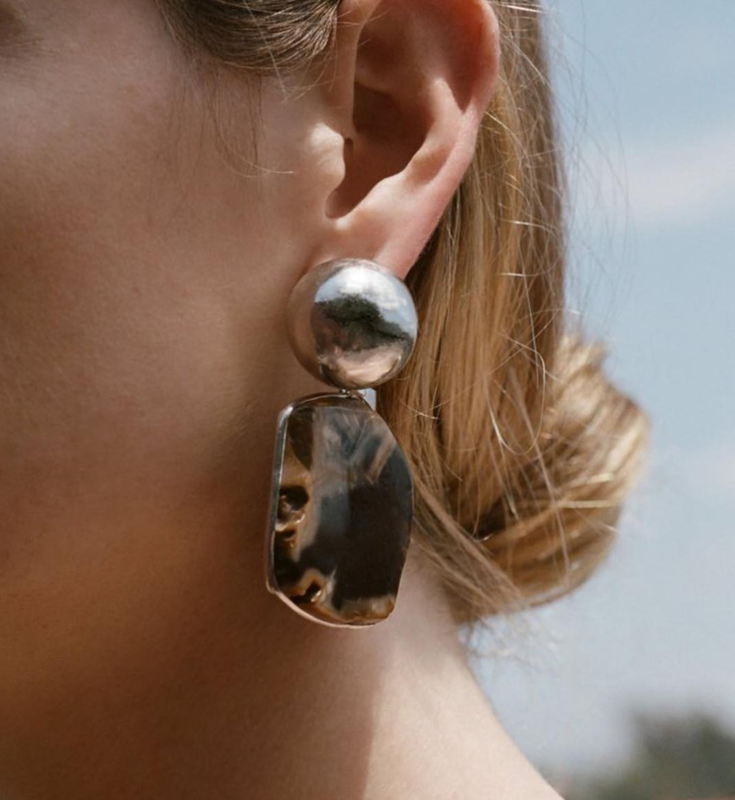 Why big and chunky jewelry is beautiful. I am not a big jewelry person. 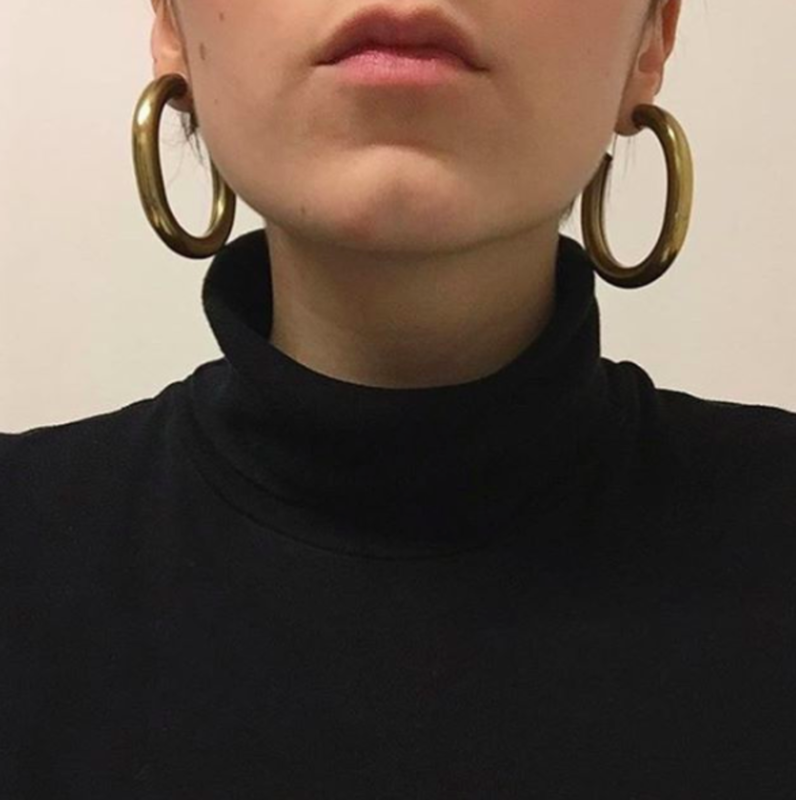 On the average day, I wear absolutely nothing except my 3 piercings that always stay in my right ear (a tiny gold hoop, tiny diamond stud, and tiny gold conch hoop). Beyond them, my neck, left ear, and fingers are completely bare. 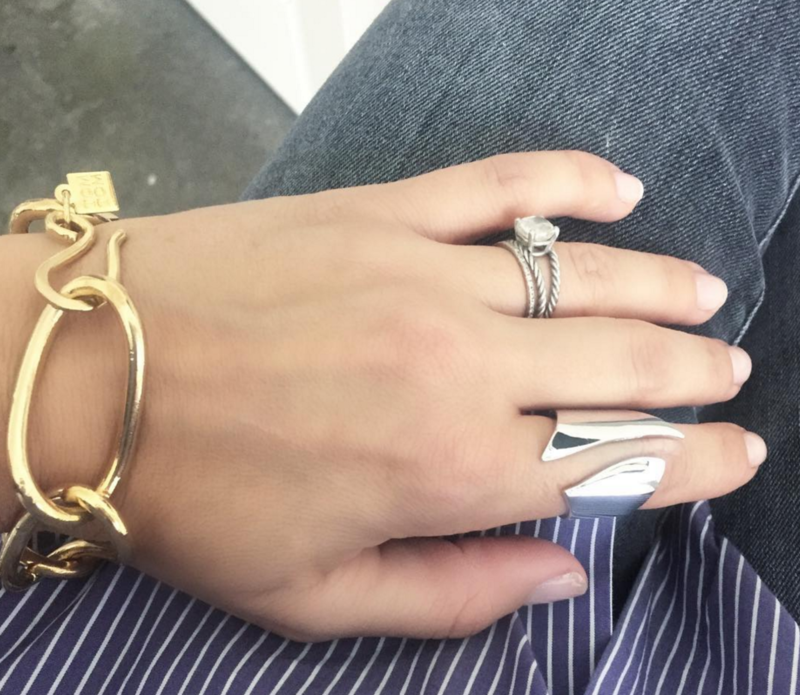 When I do wear jewelry for special occasions, it&apos;s one of two extremes: exceedingly simple (a thin gold ring), or exceedingly statement: like a big cocktail ring or cuff. On the latter front, I have been obsessed by the look of big, uniquely-shaped, sculptural jewelry (earrings in particular) lately. 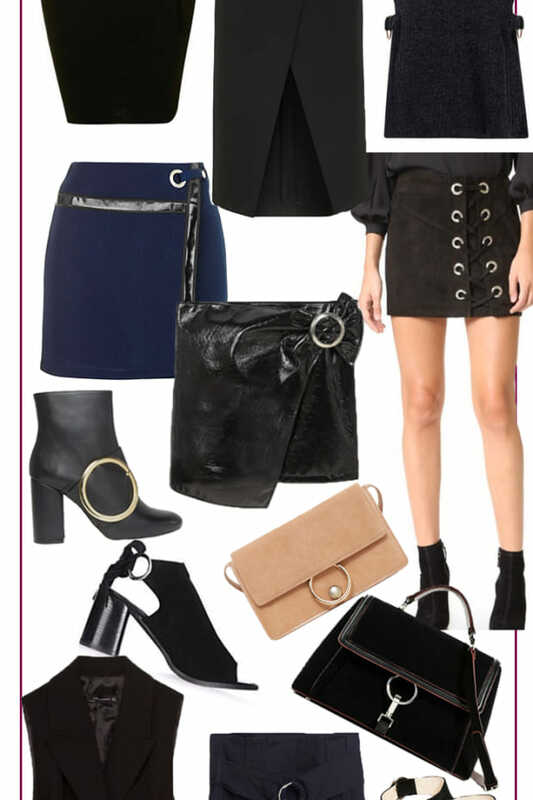 I love the way that they can make something as simple as a black turtleneck, which is totally my default cold-weather style, a bit more &apos;70s special. 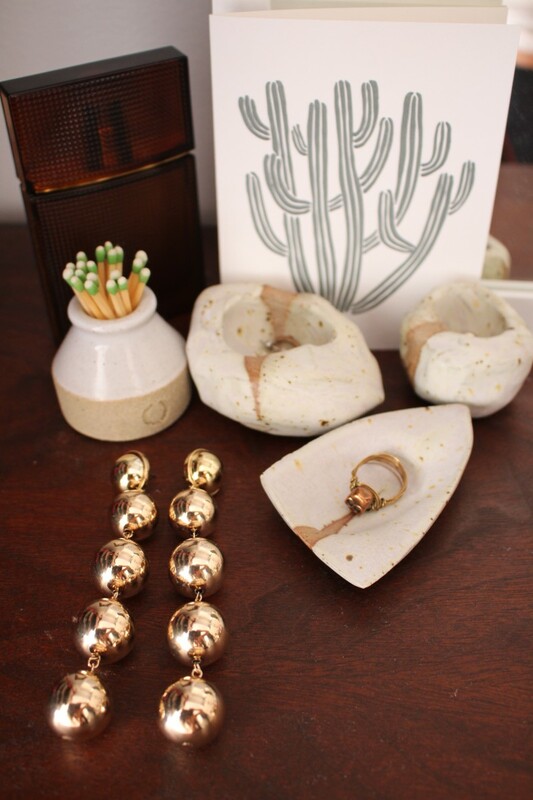 To me, big sculptural jewelry calls to mind the look of an Ojai artist—the kind of desert babe who would sit at a pottery wheel in sneakers, paint-splattered jeans, and an oversized white t-shirt, with nothing else but a a badass pair of chunky silver earrings like the above. (At least these are the things I envision). 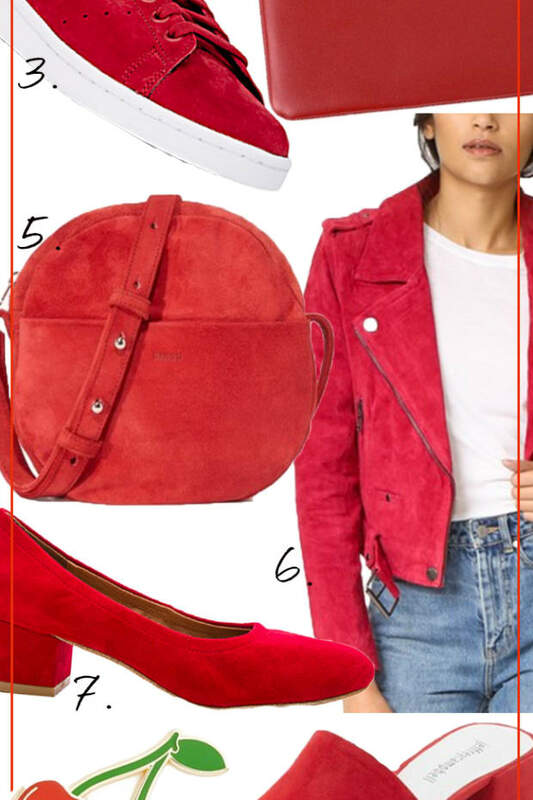 This type of jewelry is very on-trend right now (I&apos;m seeing it in tons of look books and my favorite stores), and I rounded up all the pieces I&apos;m currently eyeing! 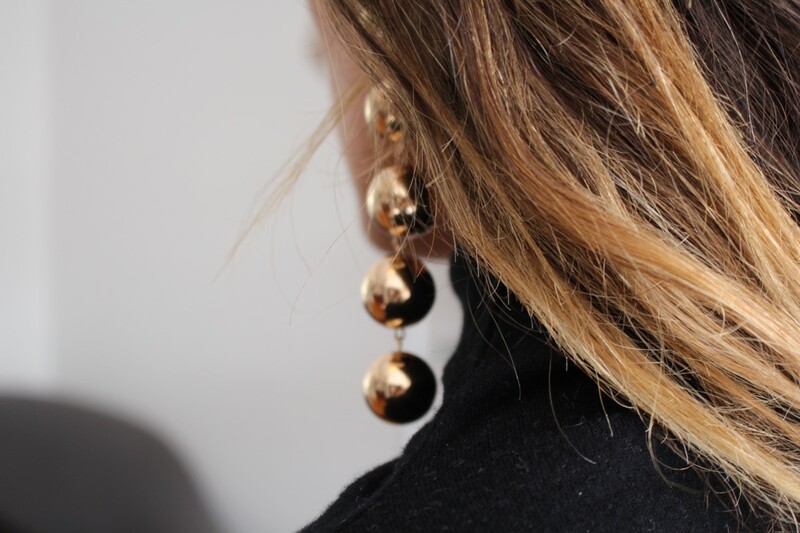 I picked up this pair of cascading gold ball earrings at Zara (available in stores, but I found a similar style online here). 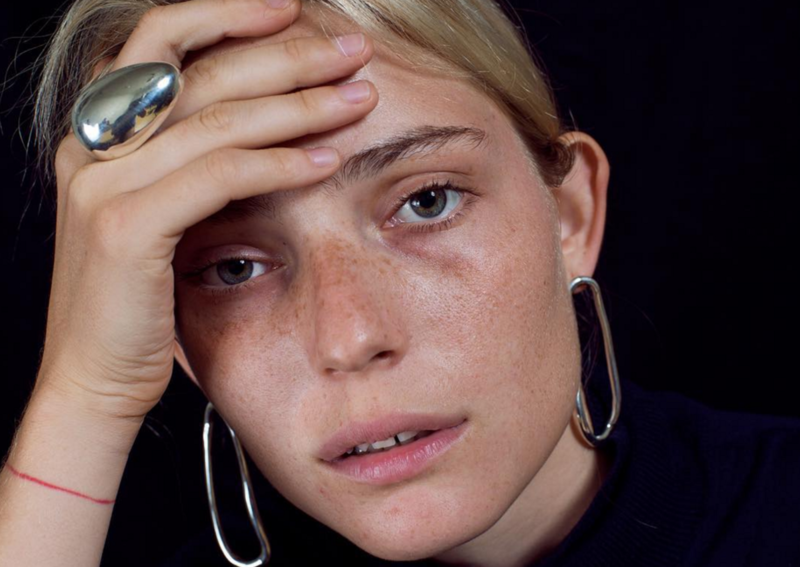 This particular style of earring is huge right now. I&apos;ve been seeing it on all my favorite taste-makers, and in fact, just last night, I scrolled past a Vogue video in my Instagram that features nothing but this earring style for holiday party inspiration. 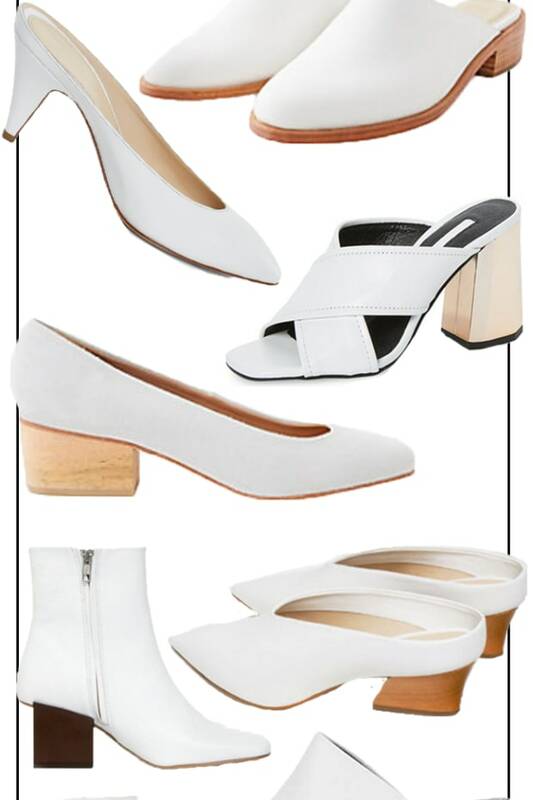 More chic options below!